Dazzle by name, dazzling by nature! 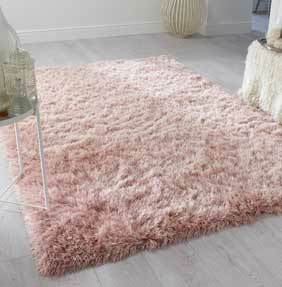 The extra soft, sparkling pile is made up of thick and thin yarns with a beautiful silver twinkling, glitter like strands which really makes this rug shimmer in the light. Hand tufted in China with a silky 100% polyester yarn to create a sumptuous thick pile which will bring a touch of glamour to any interior.